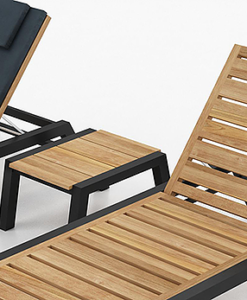 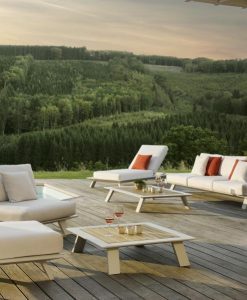 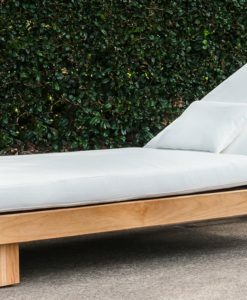 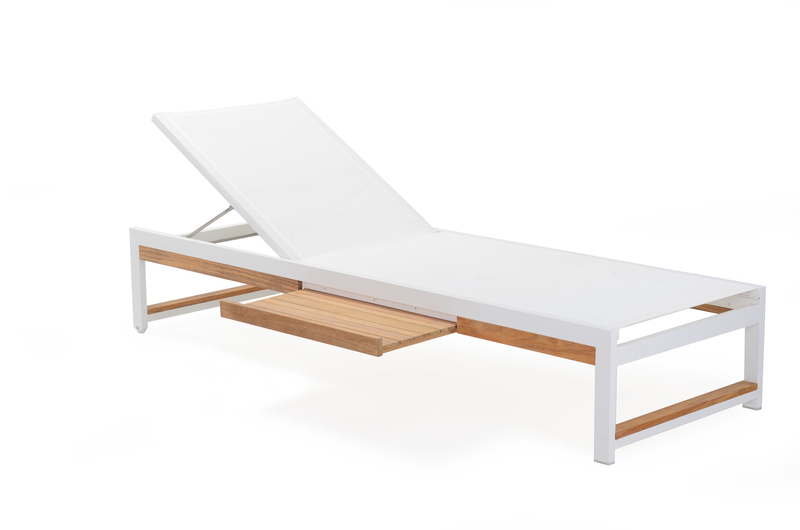 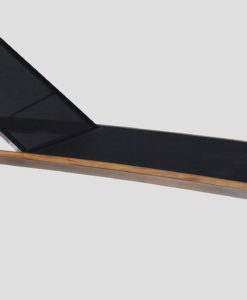 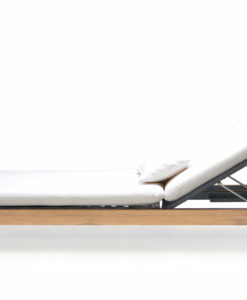 The Alar teak batyline chaise is the latest outdoor in living trend. 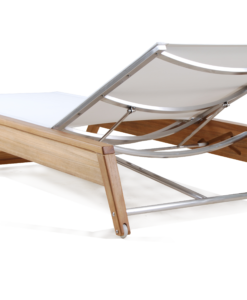 Choose black or white powder stainless steel frame with Serge Ferrari all weather fabric and optional pull out teak tray. 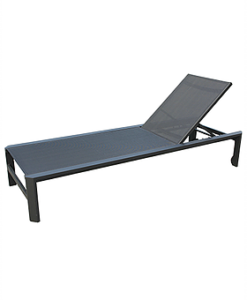 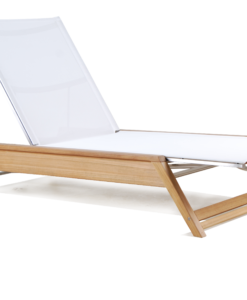 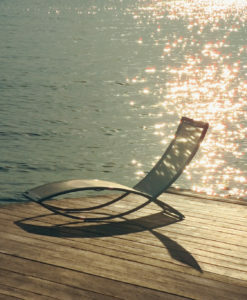 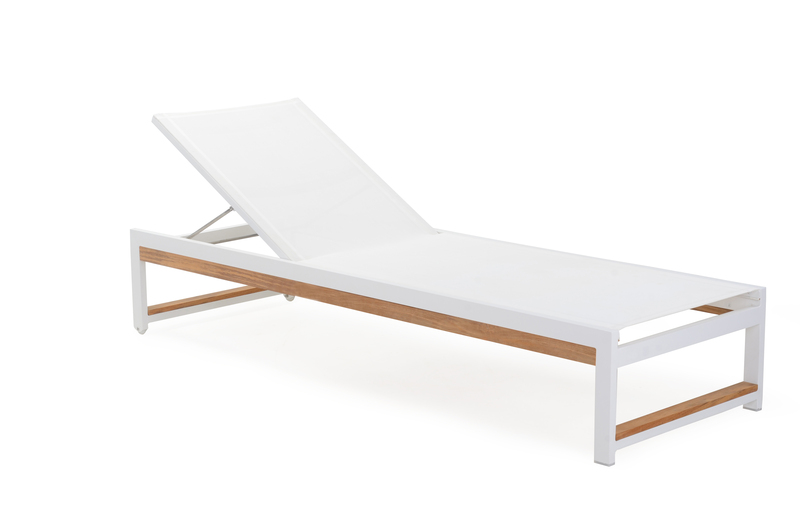 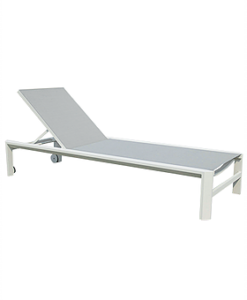 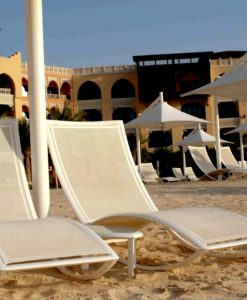 The Alar chaise sun lounger offers sleek modern design as well as function and comfort combining the ideal balance of teak, mesh and powder coated details. 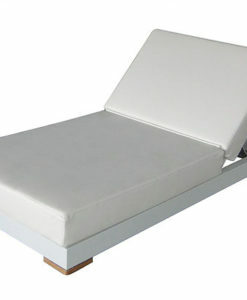 Perfect for any transitional or contemporary home, hotel, country club, or yacht. 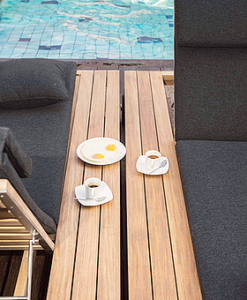 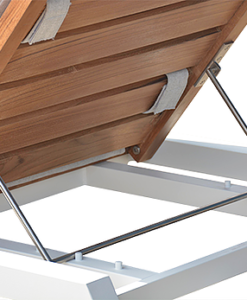 Alar teak batyline dining chair is the latest in modern urban trend design with aluminum teak materials. 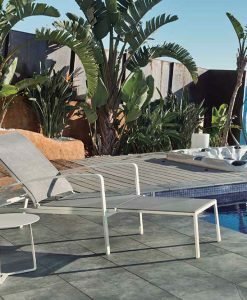 In addition, this stackable high end weather resistant collection is suitable for any hotel, restaurant and contract projects. 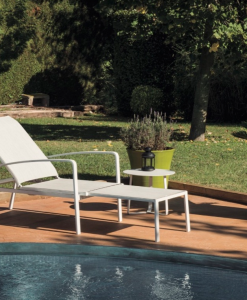 For outdoor pool furniture from New York, Miami, California to Las Vegas. 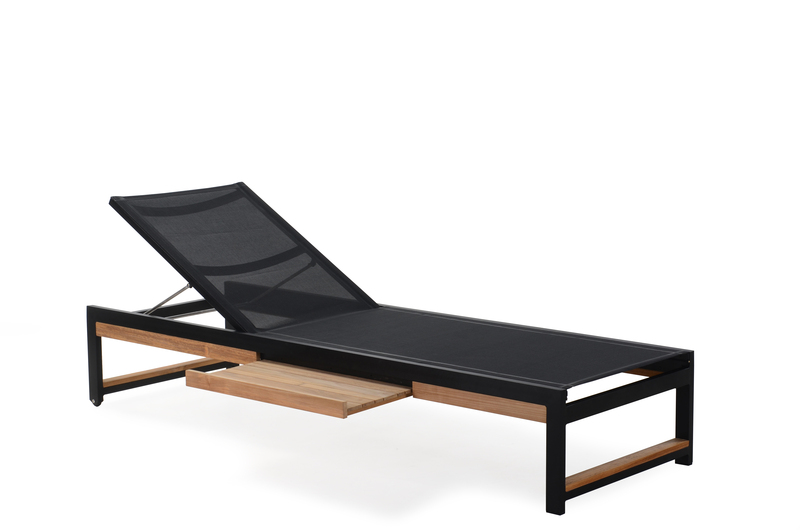 Serge Ferrari Batyline is the most luxurious of all textilene sling fabrics. 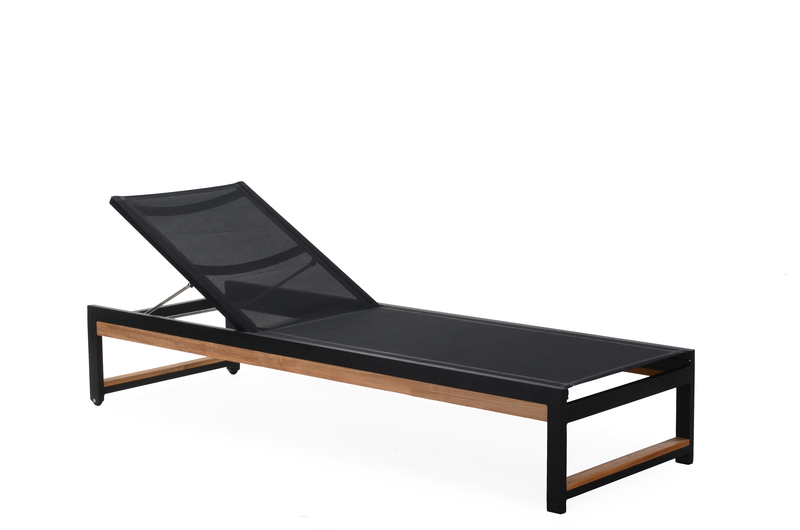 Which, offers 31 colors of the Iso and Duo mesh collections. 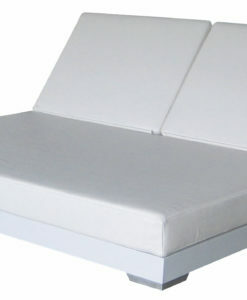 This includes, Eden sling/upholstery fabrics in flame retardant/IMO versions. 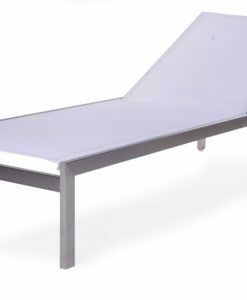 Additionally, it is also available in Soltis Proof Vivo printable waterproof awning fabric.